When someone is looking for a new home, I find that a majority of the time they have not considered new construction homes. There are a number of reasons why this is as well as pros and cons to both. Let’s take a quick look! Resale homes are existing homes that a Real Estate agent has listed. 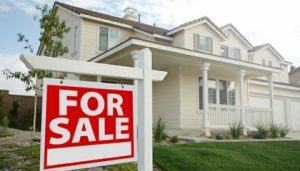 You’ll often find them in your online searches on the popular sites such as Realtor.com, Zillow, Trulia, or hopefully you’re doing your searching on NextHomieScott.com*. More on that later, but do remember this. These homes are typically owned by a private owner trying to sell their home for any number of reasons. Resale homes can be in any condition and comes with a lot of unknowns. You never know what’s behind the walls, how the foundation is, or the history of the home. We try and gather as much as we can in a disclosure from the seller and much is revealed during a home inspection, but I’ve been there- something always seems to slip through. On the plus side, however, these homes may have features you won’t get with a new construction home most of the time- a pool, screened lanai, fenced yard, custom updates, or certain appliances included. There’s also a larger number of floorplan varieties on the market than you’ll find with a builder. Some have larger rooms, some have smaller rooms. Open concept floorplan vs a more segmented floorplan. These can be what win someone over when they are looking for their future home. New construction homes are often overlooked for a number of reasons but most notably people think it will be more expensive and take too long to build. Who has that kind of time?! Your home has already sold and you need to find a place fast! You don’t have 6 months to search! Well did you know that most builders have brand new homes already built (spec homes) that you can close on in as little as a few days to a couple of weeks? You may have, but you may also notice that depending on the market, they are priced anywhere from a little cheaper to a tiny bit more expensive than an existing resale home. Often times the price difference is not the issue. These homes come with warranties that provide you with piece of mind. You know exactly what you are getting! That alone can be a huge comfort to a home buyer. Now you can build from scratch, of course. Buy some land, design the home with the builder, and they start building when you sign the paperwork. Not a bad idea either! There are some downsides to new construction through. If you’re buying a spec home they already have built you cannot change anything in the design, just like a resale home. You can do anything you want after you own it, but nothing before. Are you looking for a pool? Chances are, you will have to wait until after the home is built and you take ownership before one can be put in. This is in MOST cases, but not all. It will, however, be a huge cost! If you are building from scratch, the builder probably won’t have every floorplan built as a model for you to see beforehand so you have to hope for the best. You can usually tell from the models that they do have what the construction would be like, though. So, which is right for you? That’s for you to decide! However, whether you are going resale or new construction, bring an agent along! Most don’t think agents need to get involved in a new construction deal. While it isn’t required, there are benefits to you as the consumer. First- there’s no cost to you. 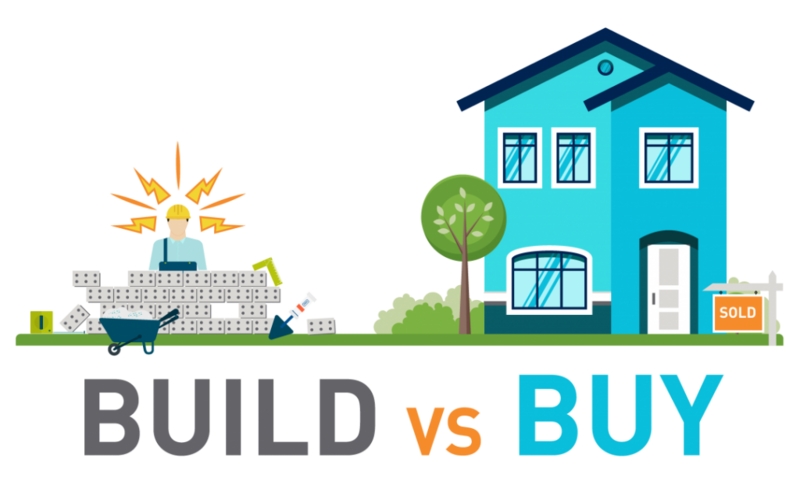 If a transaction occurs, the builder actually pays for the services, not you! Second, having someone there that knows the local builders, the pros and the cons, as well as someone that remembers the little things such as “Was granite standard in the kitchen?” or “What in that model was an upgrade that we would have to pay for?” Have an advocate that can step in and work for you. It can be a huge relief when things start getting stressful! *NextHomieScott.com is my website with full home search functionality. The benefit is that it is tied directly to the local MLS and is up to date. Many 3rd party sites do not pull data constantly which means what you see may not be accurate. Create a profile and save your favorites as well as your search criteria to be notified when new homes fitting your search parameters hit the market. Give it a try!